How completely do employers appreciate the terrorism risk to which their travelling employees are exposed in today’s world? 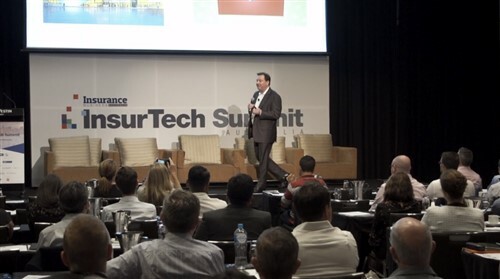 Wayne Anstiss, chief underwriting officer for Accident & Health International (AHI), tells Insurance Business employers are becoming more cognisant of their evolving duty of care to employees with respect to terrorism and safety and security. “In the past, there was an assumption that these risks only occurred in high-risk countries, like Iraq and Syria. Often it was only people travelling to high-risk areas who sought terrorism cover, such as missionaries or charity workers,” Anstiss says. “However, as the 2014 Lindt siege and last year’s Nice and Berlin attacks showed, these incidents can happen anywhere and any time. Organisations need to ensure they have appropriate cover for their people. So precisely what types of employers should have terrorism included in their corporate travel coverage? “These days, every organisation should have terrorism included in their corporate travel policy,” Anstiss says. Increasingly, he adds, brokers are seeking AHI’s view on client travel risk situations. 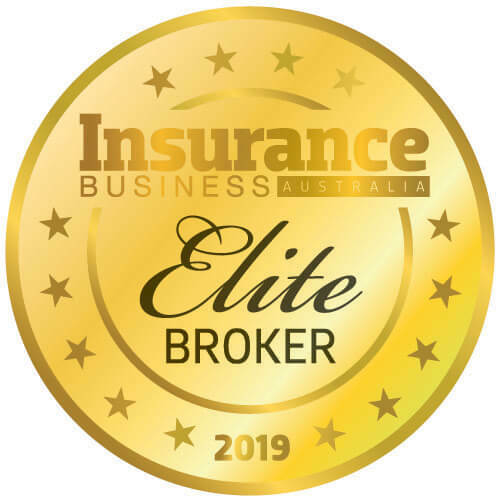 AHI is an award-winning underwriting agency, offering general and highly personalised personal accident, medical and travel insurance in Australia and abroad. We cover hundreds of thousands of Aussies – from local tradesmen to the CEOs of some of Australia’s biggest companies. Our continued success comes down to the superior service provided by our people and the comprehensive coverage offered to brokers and their clients. Dynamiq’s founder and director of strategy, Anthony Moorhouse, discusses the evolution of terrorism risk since the beginning of the 21st century. He refers to the 11 September 2001 attacks on the USA, carried out by a coordinated group of terrorists using hijacked commercial passenger jets as weapons. Moorhouse notes the increased frequency of attacks that has come with the rise of ISIS. “But ISIS has also given rise to another form of attack – the lone wolf assault,” he explains. “This attack is characterised by the use of unsophisticated weapons … without a highly coordinated team carrying out the attack. The introduction of such attacks, marked with allegiance to various terror groups, has made the jobs of law enforcement, security and risk managers that much harder. Moorhouse mentions last June’s nightclub shooting in Orlando, Florida. Moorhouse describes the 2016 attacks in Nice and Berlin – carried out by lone wolf actors using trucks – as both particularly shocking and representative of another evolution in terrorists’ tactics. “In many ways, the blunt-force trauma caused by a speeding truck was worse than a large, sophisticated explosive device,” he says. Anstiss emphasises the need for brokers and their clients to check their cover to ensure its adequacy. “It’s no good just having cover that pays a specific benefit amount for a terrorism event, because this doesn’t help the traveller when they are in the middle of a terror incident,” Anstiss says. Looking beyond coverage, Moorhouse talks about the ways in which employers – and the brokers advising them – can work to ensure an organisation’s employees are best protected against terrorism risk. “As an employer, you can’t protect your people every minute of the day. However, it’s part of your duty of care to have a plan in place for when the unthinkable happens to your people, whether they were specifically targeted or just happened to be in the wrong place at the wrong time,” he says. One way a company can do so, Moorhouse says, is by warning its people of potential incidents that could affect them. “Intelligence alerts or push notifications are a great way to inform your people about threats and potential impacts to their safety,” he says. He adds that it’s important to make a travelling workforce aware of the risks that exist in the country in which they’ll be travelling and to arm them with appropriate training to mitigate those risks. “We are working with Amazon Web Services, for example, to roll out hostile environment awareness training to their travelling staff, which looks at both country-specific and personal risks,” Moorhouse says. AHI’s Wayne Anstiss recalls events that reinforce the difference that can be made when corporate travel policies encompass terrorism risk. “During the 2008 Mumbai terror attacks, a number of AHI travellers were caught up at the Taj hotel, where the attack occurred,” Anstiss says. Anstiss says Dynamiq was able to get the clients out of the building while the attacks were still occurring, even before the Indian hostage rescue team had arrived on the scene. “AHI also covered the cost of finding a missing client who lost contact during the attack as they were outside of the hotel grounds,” he adds. Anstiss also discusses last year’s attack in Nice, France, which killed 86 people. “We had a traveller who was in close proximity to where the Nice attack occurred but not involved,” he says. Asked to cite other essential inclusions in a corporate travel policy, Anstiss talks about the importance of a security assistance component. “This is necessary for when an employee experiences a direct personal threat,” he says. Anstiss refers to another case that illustrates the importance of a security component in a corporate travel policy. “One of our travellers had some personal images of himself and his partner in Indonesia. During the trip, he broke up with his partner and was subsequently blackmailed by the ex-partner, who threatened to go to the local authorities with the photos. It’s also essential, Anstiss says, for medical expenses to be covered under the policy. Interestingly, he notes that the USA is probably no longer the most expensive location in the world when it comes to medical expenses. “Major Chinese cities like Beijing and Shanghai, Hong Kong and others like Singapore quite often exceed the USA in medical costs,” Anstiss says.